What is Apache OpenOffice (OpenOffice.org)? EDIT December 2018: Most of the material formerly on this site has been removed, because it is obsolete. EDIT September 2016: If you are using, or considering using, Apache OpenOffice, please see this article for some information on why you should consider LibreOffice instead. EDIT 2014: I am no longer maintaining this blog and website, because I am no longer using this program for my daily work. I am using LibreOffice, a descendent of the old OpenOffice.org. It is developed by an active and enthusiastic community. 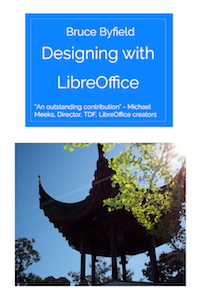 I have a blog about it here: Taming LibreOffice. Apache OpenOffice (AOO) is another descendent of OpenOffice.org (OOo), starting with version 3.4. Scroll down to see recent posts in this blog. Bruce Byfield summarizes the main reasons to choose, or switch to, LibreOffice instead of OpenOffice, in his article OpenOffice: A Project in Search of an Exit Strategy. Bruce writes, “I keep asking myself what OpenOffice can do that LibreOffice cannot do better, and I keep coming up blank… LibreOffice has always held every advantage. Whatever the ins and out of the LibreOffice fork in 2010, the majority of OpenOffice.org contributors forked with it, including many of the most ambitious and thoughtful developers. For more details, see this article in Ars Technica: OpenOffice, after years of neglect, could shut down. Also, Contemplating the possible retirement of Apache OpenOffice. Most of the information in this book applies to Apache OpenOffice as well as to LibreOffice. Major differences are noted in the text.